​Founder and owner of Hometown Heating Inc, Randy Visser, is hands-on in the business. He brings over 28 years of experience in residential heating and cooling sales, service, and installations. ​"Our goal is your total satifaction. If we've accomplished this and you're happy with our service, please tell others about us. We want nothing more than to continue to provide high quality service to keep our hometown comfortable. We take great pride in taking excellent care of all of our valued customers. ​ Gas, propane, and electric furnaces. HRV's and indoor air quality products. Heat loss, heat gain calculations and duct design. Residential Heat Loss and Heat Gain Calculations. The best in HVAC products. The highest quality of services and workmanship. Quick, on-time delivery for all parts and products. The ultimate home comfort experience. 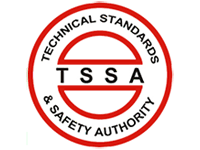 The Technical Standards & Safety Authority's (TSSA) goal is to make people's lives better by enhancing public safety. A full-service safety provider, TSSA carries out a broad spectrum of tasks on behalf of governments, businesses and the general public. From safety inspections to engineering reviews, technical training and certification to public education and outreach, thier unique risk management and proactive partnership approach helps them improve public safety outcomes. As a self-funded, not-for-profit organization, TSSA delivers superior solutions efficiently and cost-effectively. Whether using natural gas or propane furnaces, we expect our fuel-burning heating systems to operate safely. Help safeguard you and your family by ensuring your heating systems is in good working order. Arrange to have your furnace inspected by a qualified inspector annually. 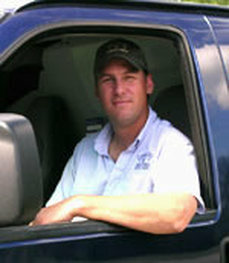 Hire only heating contractors who are registered with the Fuels Safety Program of TSSA. If you are unsure about your heating contractor status, call TSSA at (416) 734-3300 or 1-877-682-TSSA (8772). Avoid "fly-by-nighters", especially strangers who show up at your door offering "special" deals. Always ask the heating contractor to provide identification. Determine whether repairs are covered by a warranty or maintenance plan.